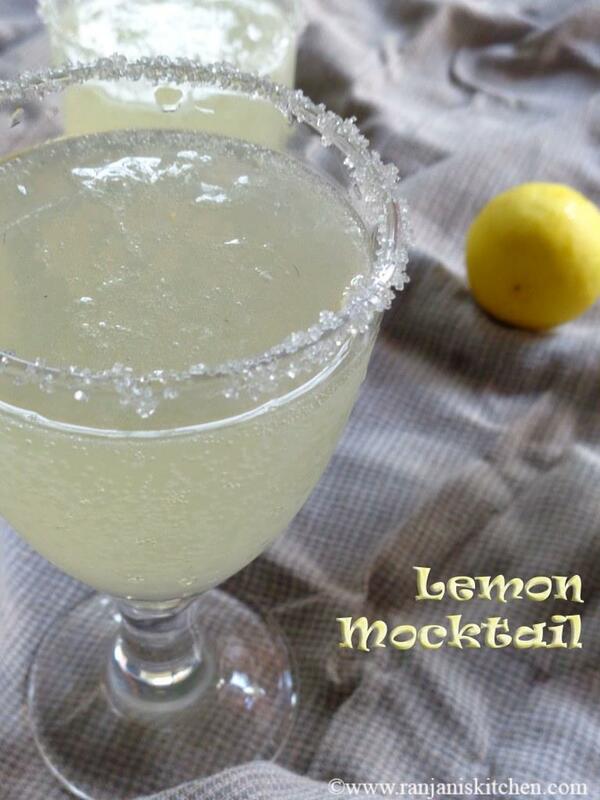 This is the first mocktail recipe I tried. I have seen some fellow bloggers posted mocktail recipes. But I have no idea of it. I thought it may be little alcoholic 🙂 Then my friend told me it’s a non alcoholic cocktail :). 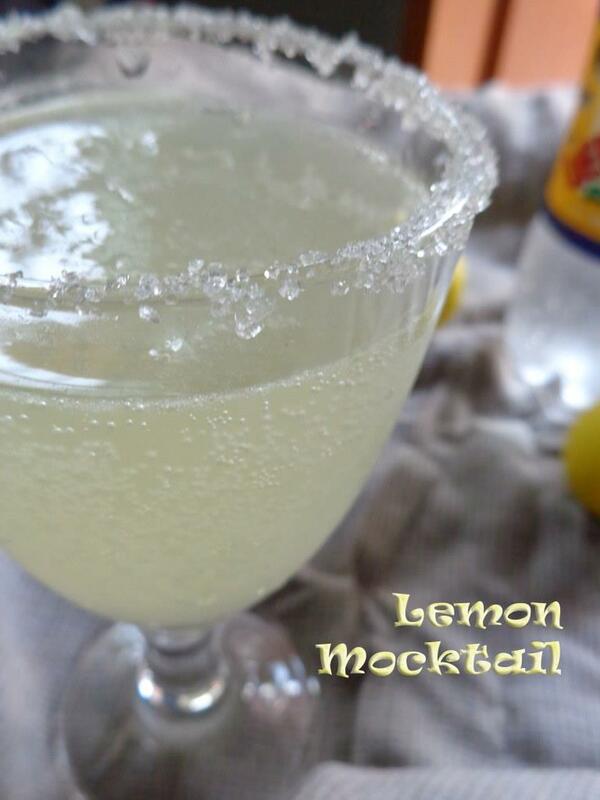 This Lemon Mocktail – Lemon Punch is so refreshing to have chilled. 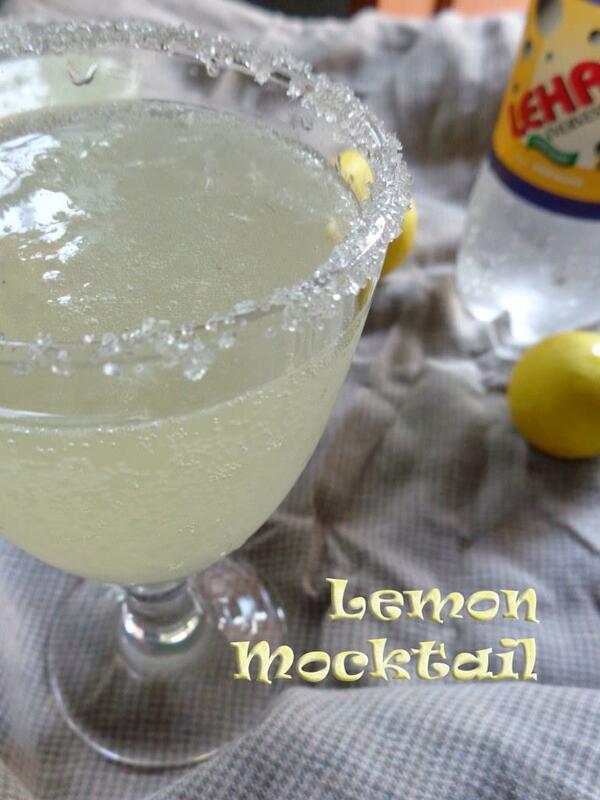 We can have it after a meal.Lets see the easy and refreshing Lemon punch. 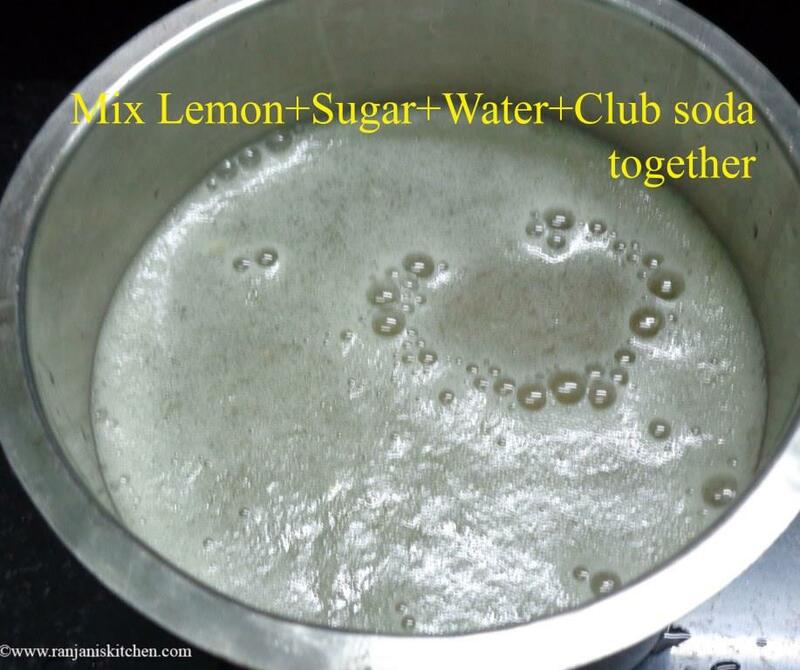 Mix Lemon Extract, Water, Honey or sugar and club soda together in a mixing bowl. Mix well until the sugar dissolves fully. 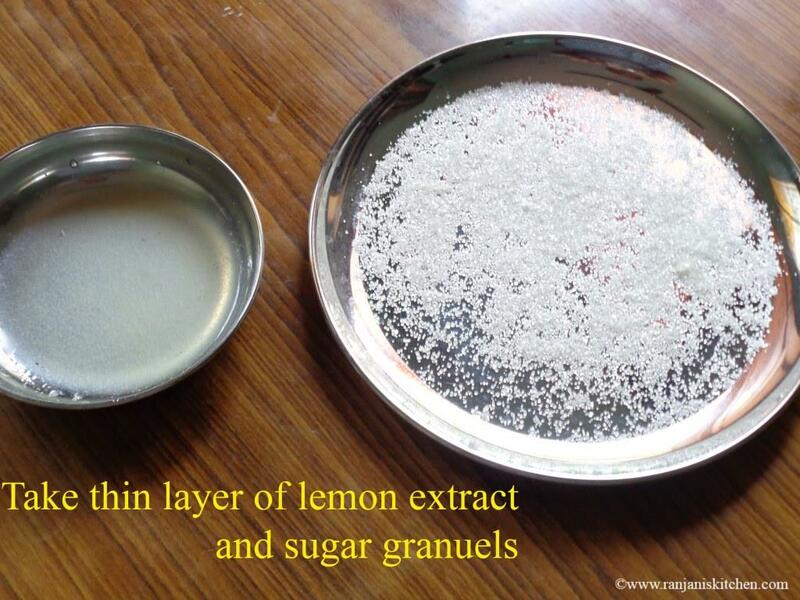 Then take thin layer of lemon extract and sugar granules in two separate plates. 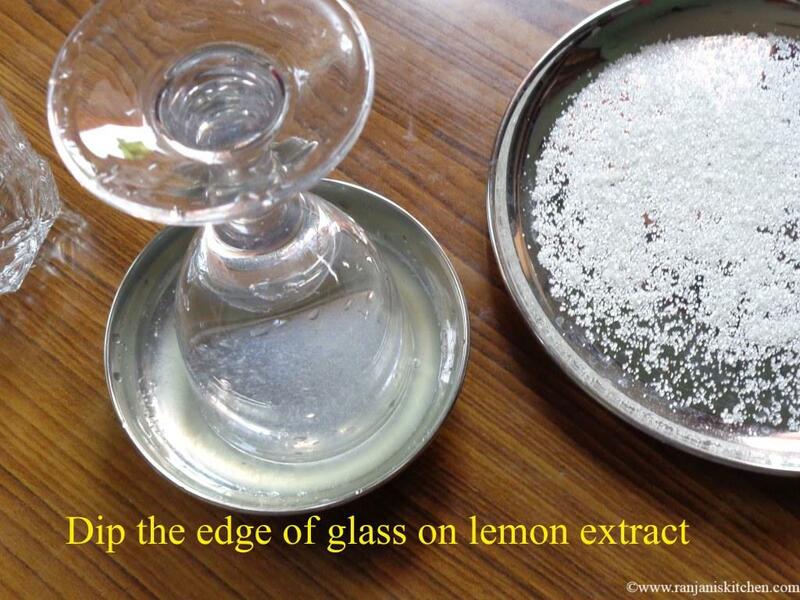 Dip the edge of glass on lemon extract. 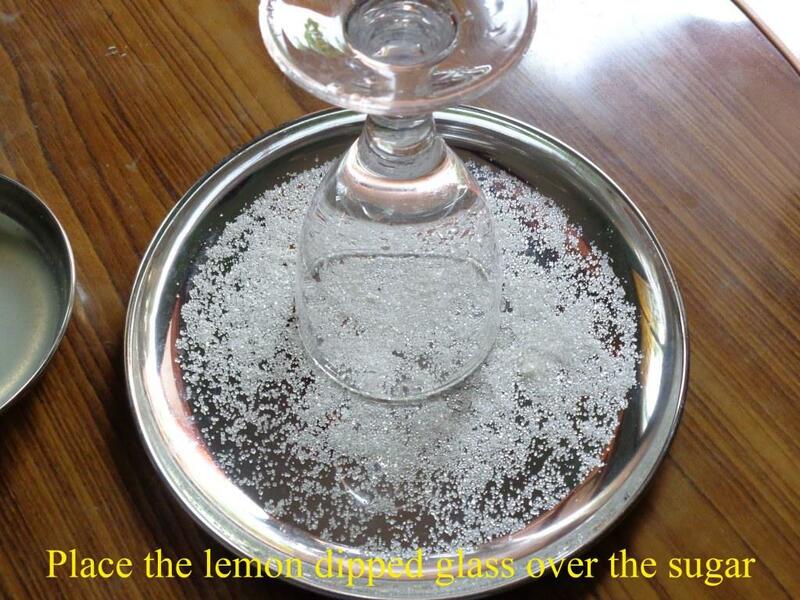 Then place the lemon dipped glass on sugar granuels. Now the serving glass is ready. 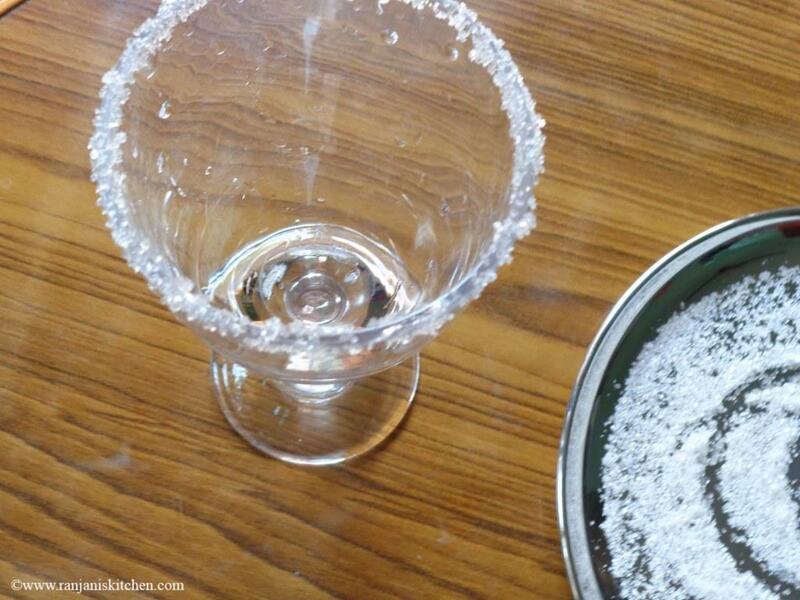 Fill ¾ part of glass with mocktail . 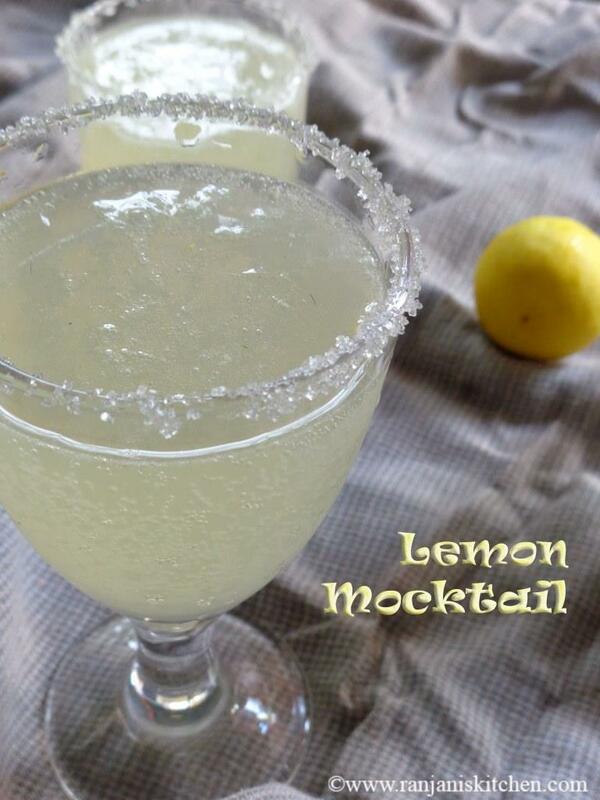 Refreshing and tangy lemon Mocktail is ready . You can decorate with sugar dipped lemon candy also. If you are diet conscious, replace sugar with honey. You can serve it chilled after refrigerating also. 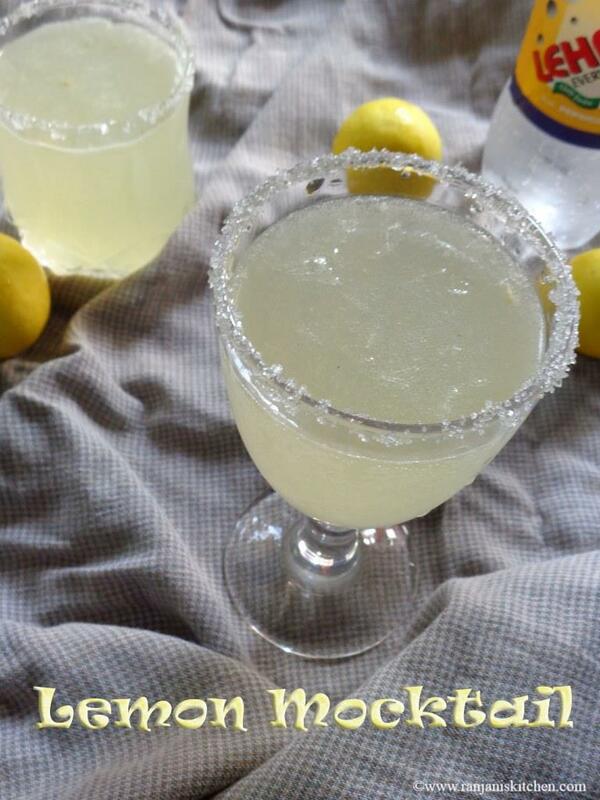 But if refrigerating, add the club soda while serving. Otherwise it will lose its gas.